As you all know that malicious data on Internet is becoming very common way of making personal data destroy. Antivirus is most protecting programs which is very necessary for every computer and laptop to keep data safe. What kinds of Antivirus will be applicable for system? When you look into market you see that many Anti-viruses with one year subscription are available. Antivirus and Internet Security as we all know are the best possible ways to secure our PC and laptops from getting harmed. While Windows 7 already has lot of built in features which itself can stop trojans, and malware but still to be on safer side, it’s always advisable to install a proper and trusted security tool. Our Big list today includes some of the best Antivirus and Internet Security Tools which can give you better and infact the best possible security options. Here I am going discuss about Top 8 Best Antivirus For Windows 7. 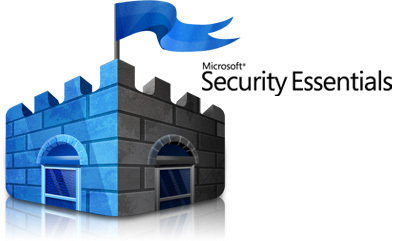 Microsoft Security Essentials works with Genuine Windows which is very good and it gets update with daily program. Main advantage of this Antivirus is that it is available for free and can be used with any Operating System. But if you really want to see its main advantage you must install in Genuine Windows only. With that OS it will work fine and will install items daily once it is connected to net. This software has many good interface with OS and it is user friendly software. 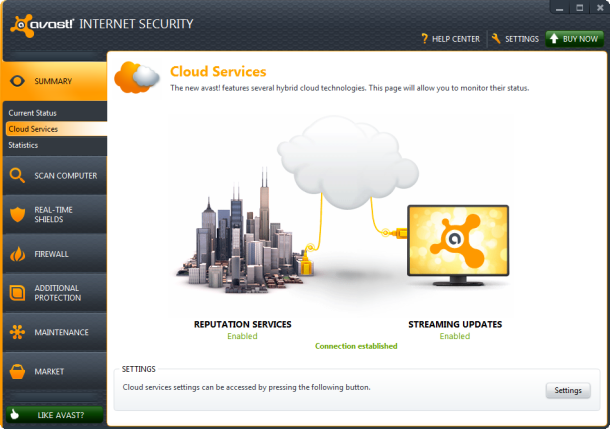 Panda Cloud Antivirus is very cool Antivirus which is used to protect data of your computer from malicious data. It is has got interface which has unique way of working with system and other Applications present in operating system. It has most famous and powerful cloud system. When unwanted data is running you can deactivate with Antivirus and thus you can run your system fast. This Antivirus gets daily updates from the server of Panda labs which is purely user friendly. Avast Free Antivirus is very powerful when once installed in your computer and laptop, no need to worry about any malicious content which enter in the system. It directly blocks every action of that harmful device. Main disadvantage of this software is that it is not safe for all the systems like which are operating bank account, online shopping, Spam message and mails. But all this features can give benefit when you install PRO and Internet Security version which are more powerful in security. 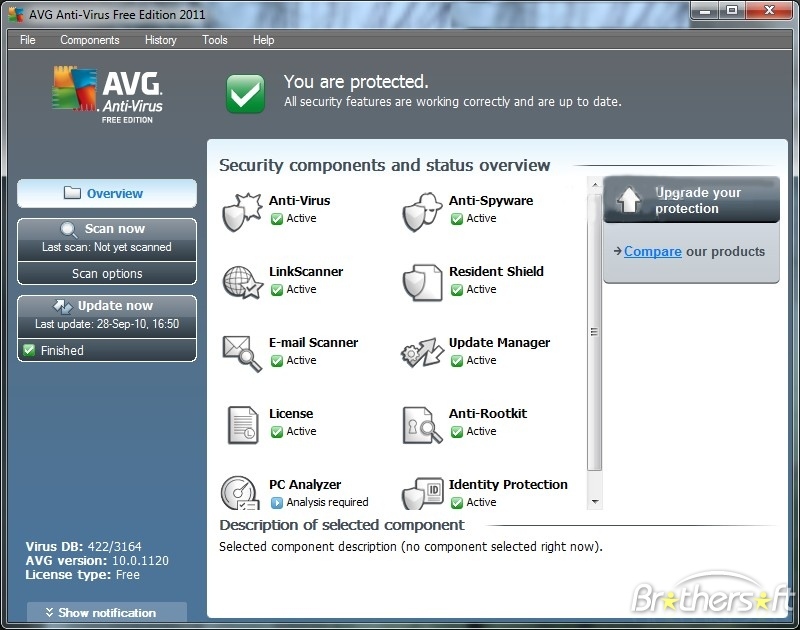 As you all know that AVG Free Antivirus scans for each and every contents of malicious Application for viruses, malware and spyware. This is most user friendly and famous among all other Antivirus. Many users like to install this software on their system, since it has everyday updated programs with latest data against malicious program. It is very user friendly compared to other software. Hence it is very easy to install on your system and best for windows 7 Operating System. 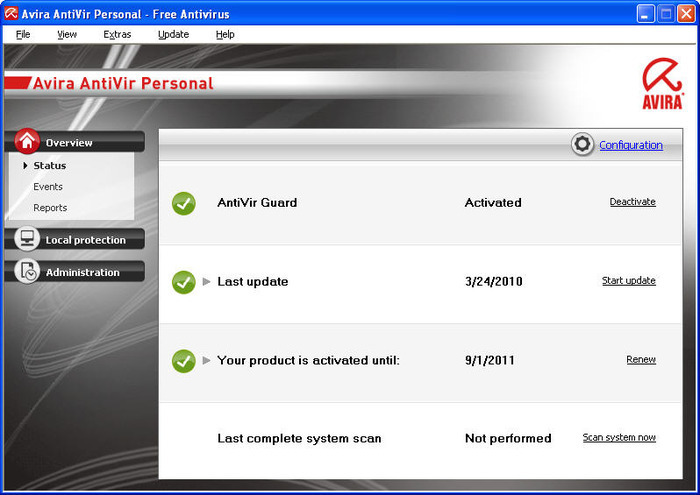 Avira AntiVir Personal is very easy to install and interfaces with system in better working condition. It is good in detecting any kind of root kit threats and many other viruses. Very important thing to be noted regarding this Antivirus is that you can easily find malicious data in your system. Free version of this software is available in the market; you can use that version which is really good for system. You can further update your software through Internet itself. It is really new edition which has launched in market with many kinds of feature in it. It offers better detection range of scanning program in your system. Best thing about this software is that it has best feature called as battery saving option. When your laptop runs its battery, this Application will run in low usage so that battery can be saved. You can avail this Application through internet or you can order from company also. It runs well with and perfect with Windows7 OS. This brand is somewhat not known to many people in market. But it has many unique features when we compare to other brands. 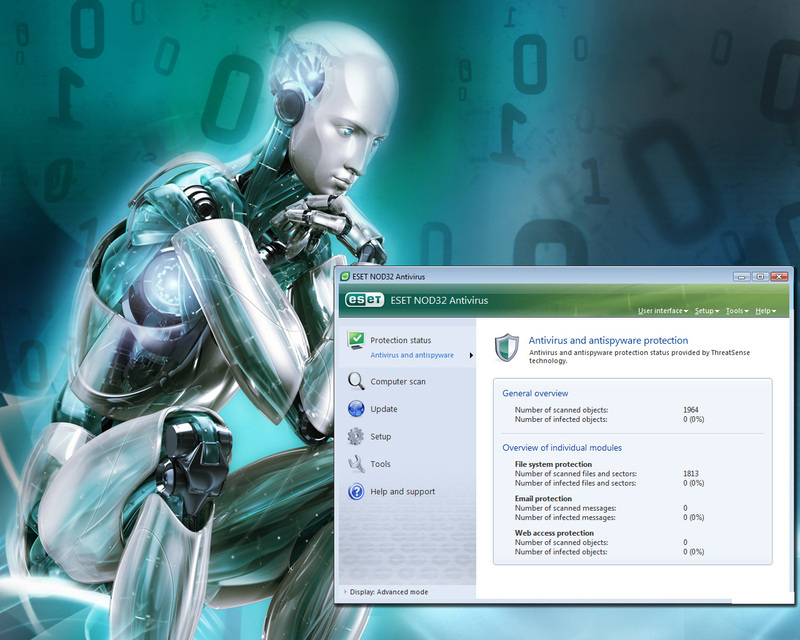 It offers best quality detection of malware and virus which affects your system. 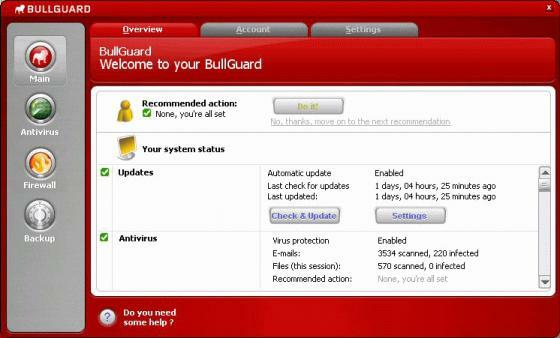 BullGuard Antivirus has many unique features like looking good and easily manageable interface with your system. But thing is that it has good ability to share an information and make them safe and secure for user. This Antivirus is quite comfortable with Windows7 operating system. Kaspersky is top industrial software with many other unique kind of facility. It is Russian based company Antivirus. This Antivirus is most famous in business and many other home field, great competitor of AVG and many other famous brands. It has best and top most removable capacity of malware from system. Since this Antivirus has built up with other unique and most powerful kind of program in it. This Antivirus is best version which is made for Windows 7 operating system. Above Antivirus are most useful and more secure for Windows 7 when compared to others since some of those version cannot be trusted completely. Go ahead and use them and let us know which one you find it to be the best among all of them, do leave out your comments on how you find them and to what extent you can trust them. Thanks for the list, but why didn’t you mention Unthreat Antivirus? I know it’s not as well known as the others but I definitely think it outperforms a few on this list. Have you ever heard of it? I myself use MSSE but also MalwareBytes Anti-Malware in combination and found it to be an effective combo, I have used Avira, Avast in the past as well.